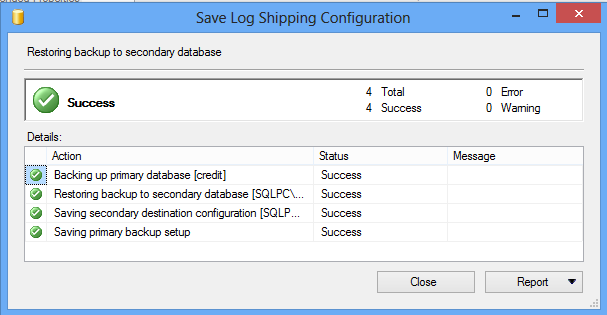 What is log shipping and how to create log shipping in SQL Server 2008? 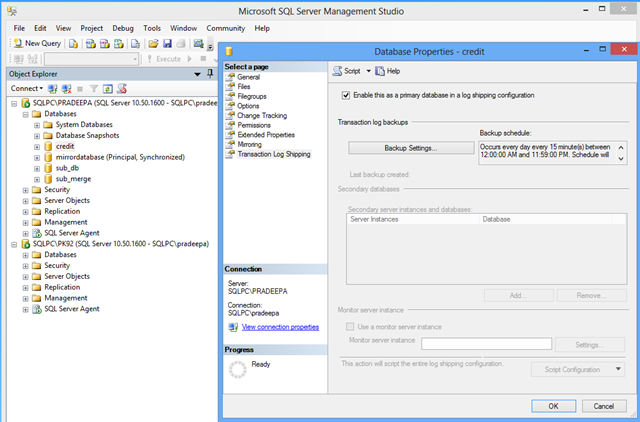 SQL Server Log shipping automatically allows you to send transaction log backups from a primary database on a primary server instance to one or more secondary databases on separate secondary server instances. 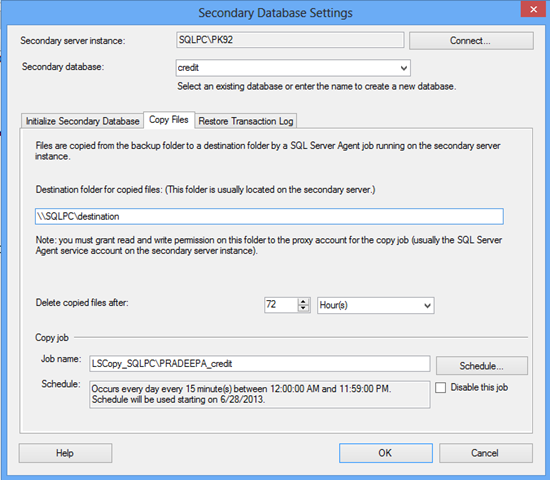 The transaction log backups are applied to each of the secondary databases. 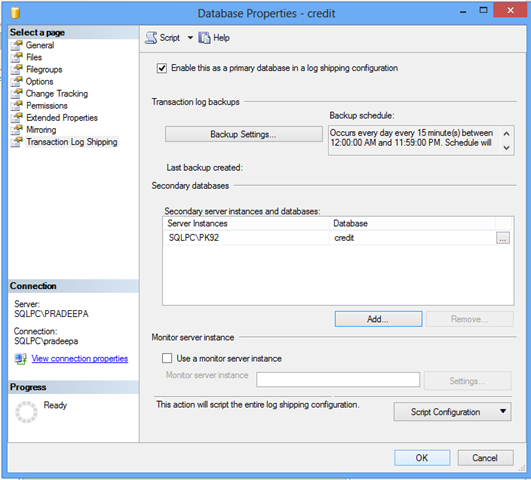 Log shipping can be used with databases using the full or bulk-logged recovery models. On the primary server, right click on the database for which you want to enable log shipping and select Properties. Then select the Transaction Log Shipping Page. 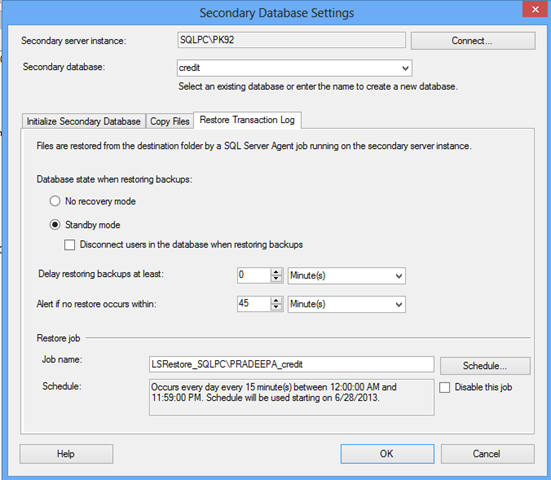 Check the “Enable this as primary database in a log shipping configuration” check box. 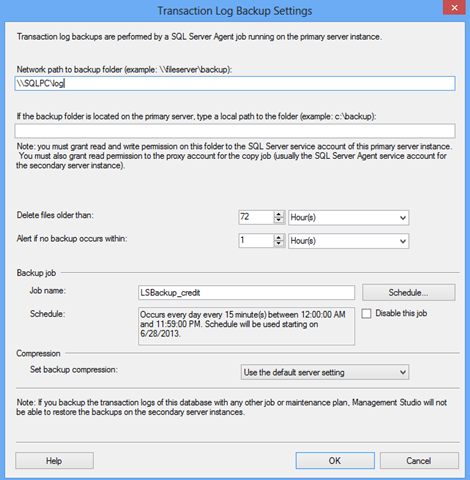 Select Backup settings.Specify the network path to backup folder and Click ok. 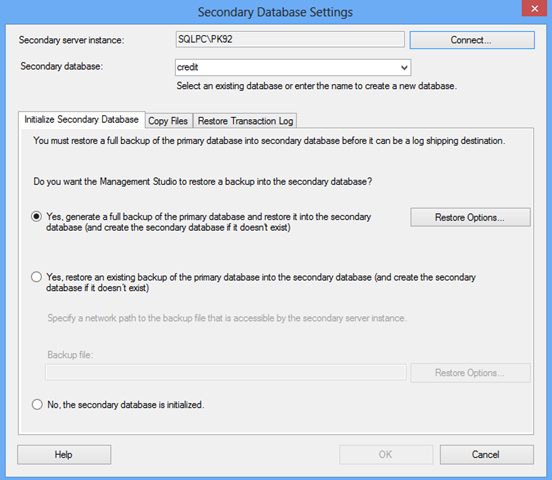 Select secondary database settings.Connect secondary server instance. After connecting,select the secondary database. 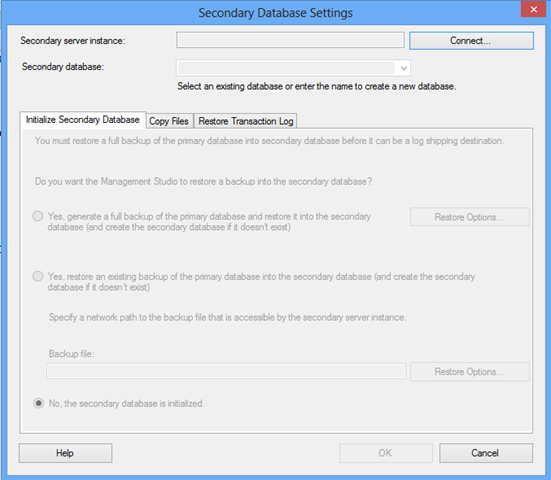 Then initialize secondary database by Specifying how you want to restore the backup in secondary database. Select copy files option.Specify the destination folder for copied files. Select the Restore transaction log option.Select the database mode as standby mode.Click ok.
View the configuration options we selected and click ok.
successfully we have configured Log shipping.Click ok and finish the configuration.